It goes without saying that business is largely about generating leads and sales. In fact, they’re crucial for your success. Given this, using a Call To Action (CTA) at relevant points in your marketing is likely a key part of your strategy. However, if yours isn’t optimized, you may be leaving a lot of money on the table. You can easily rectify this by making a few changes. For example, something as simple as tweaking your content’s approach or changing the way you actually display your CTAs can make a huge difference to your conversion metrics. In this post, we’ll first discuss CTAs and how they affect your conversions. Then we’ll look at ways to optimize them and help take them to the next level. Let’s dive in! They can increase your conversion rates. With the right CTA in place, you can guide potential customers towards your preferred action, and improve the chance of converting them. They help to qualify and target your visitors. Once you have converted a prospect, you can offer them other products and services based on the action they took. Of course, understanding the benefits of an optimized CTA is just the first step, as is actually implementing them. The real gains are made when you further optimize them for conversions. It’s important to understand that visitors choose your site because they expect value, and encouraging them to take action means offering more. Given this, here are five ways to take it up a notch! 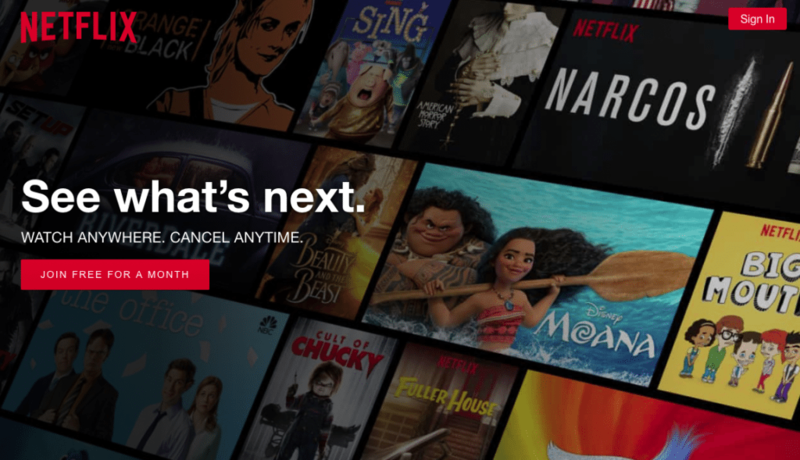 Netflix’s CTA tells you exactly what to expect from a free trial. Depending on your products and services, chances are there’s something you can freely offer your audience – a product download or temporary access to services, for example. Providing an opportunity to try your product for free shows you are confident in its value, and also enables potential customers to preview your offerings without risk. Best of all, you have the opportunity to continue to engage them through email marketing. Implementing a free trial in your CTA is straightforward. Taking Netflix above as a good example, you simply describe the basic terms (such as a time limit). Then, you use a short and clear direction telling users what to do in the button text. In this case it’s “Join free for a month”, but it could be “Start your free trial!”, or something similar. 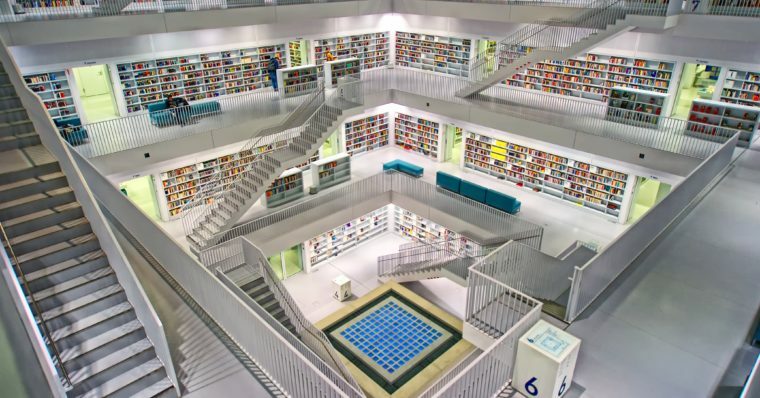 When using this technique, be upfront about what the reader will get in exchange for taking the next step. If they find it valuable, they’ll click through and become part of your conversion funnel. Impact’s CTA is benefits-oriented while offering a free trial. Your readers will only act if it benefits them, and meeting that expectation gives your audience a reason to take the next step. This is what’s known as a benefits-oriented CTA. For instance, if you’re trying to get signups for your marketing emails, the benefit would be members-only discounts. By emphasizing these benefits prominently, you give prospects a compelling reason to click. To create a benefits-oriented CTA, you’ll need to clearly explain what the reader will gain from signing up. Impact’s example above outlines this multiple times – they’re sharing secrets, and you’ll get a free guide too. It’s also good to be clear on whether signees are added to your email marketing list. Once they sign up, you can follow through with any extra instructions for downloading or accessing the benefit. In a nutshell, every CTA you create should be benefits-oriented. It doesn’t matter if you are offering a free trial, asking them to join a forum, or soliciting a social media follow, using the benefits to win customers will pay dividends. 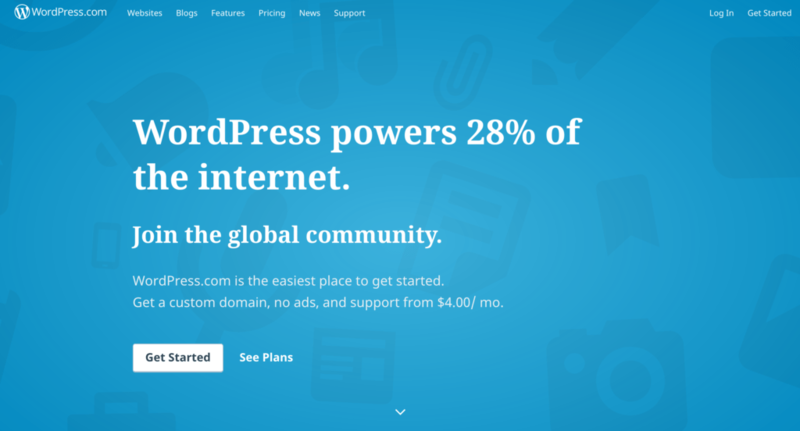 WordPress.com uses its global numbers to provide social proof. As human beings, nothing is worse than the Fear Of Missing Out (FOMO). Social proof is a marketing concept that plays on the need to follow the crowd. The primary reason for using social proof in your CTAs is that it eases doubts and minimizes objections for your prospects. Basically, if people see that others have had success with a particular action, they will be more willing to try it for themselves. Generally, just including the proof near your CTA can help boost your conversions. However, if you can somehow integrate your proof with your CTA, by offering numbers (like WordPress.com does above), that’s just gravy! By implementing social proof as part of your CTA strategy, you enable prospects to decide if they want to stay where they are or join the other success stories. Consider it like peer pressure – without the negative connotations. 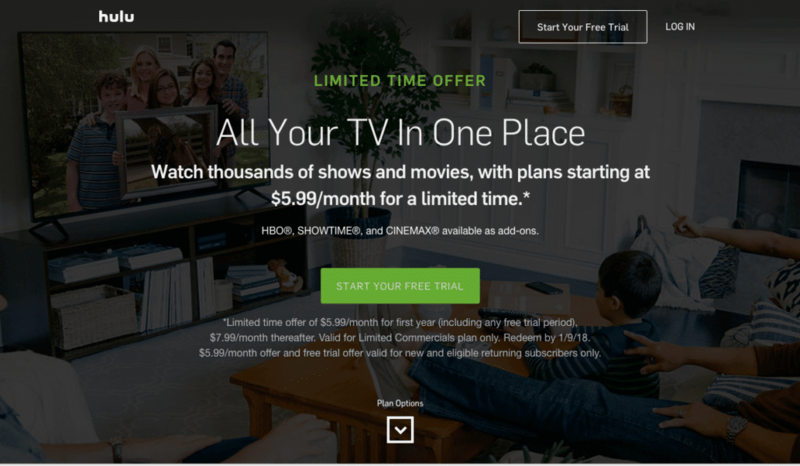 Hulu’s CTA utilizes urgency and a free trial. One of the best ways to convert a prospect is to create a sense of urgency. If your audience believes they’re losing out by not taking immediate action (much like the previous method), they’ll be more inclined to click. This tactic compels your audience to act before it is too late. If there’s scarce supply or limited time to take action, you improve your chances of conversion. One of the best ways to create urgency is through inspiring curiosity to learn more or act on the information you’ve provided. While there are several ways to invoke curiosity, keeping things simple is one of the easiest. For example, you can explain what you do and even provide evidence of your success. By withholding the details of how you achieved that success, you invoke enough curiosity to create urgency around how you accomplished the goal. 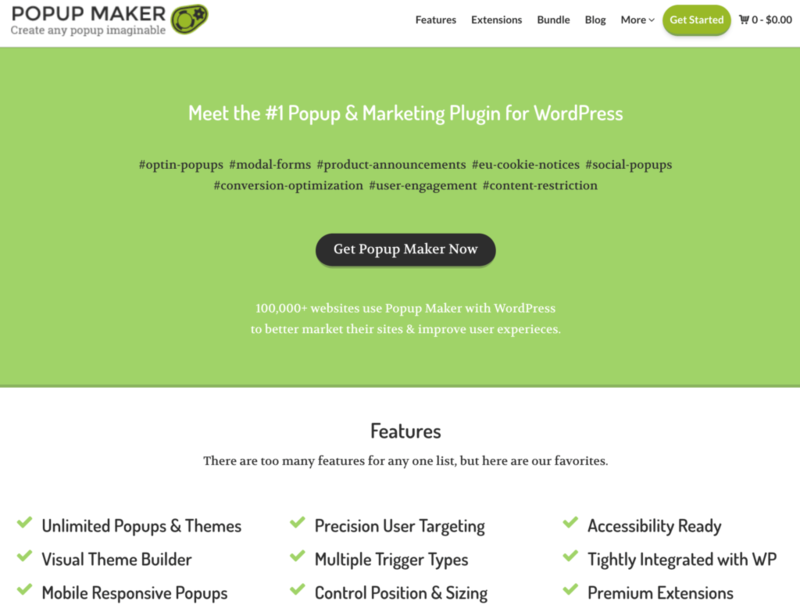 Popup Maker is a great solution for creating prominent CTAs. So far, we’ve discussed techniques to level up your Call To Action, and why they work. Now, it’s time to talk about getting them noticed. We believe that using popups is the ideal way to do so. While there are many ways to ask people to connect on social media, sign up for your newsletter, or leave a comment, drawing attention to your CTAs is the best way to level them up. Correctly utilizing a popup (such as those created with Popup Maker) is an immediate way to draw to attention to your CTA. For example, imagine you’re offering a free course on affiliate marketing. You’ll create benefits-oriented content, include social proof using customer testimonials, and even create a sense of urgency by offering the course for a limited time. However, if your CTA doesn’t stand out, you’ll receive very little payoff. 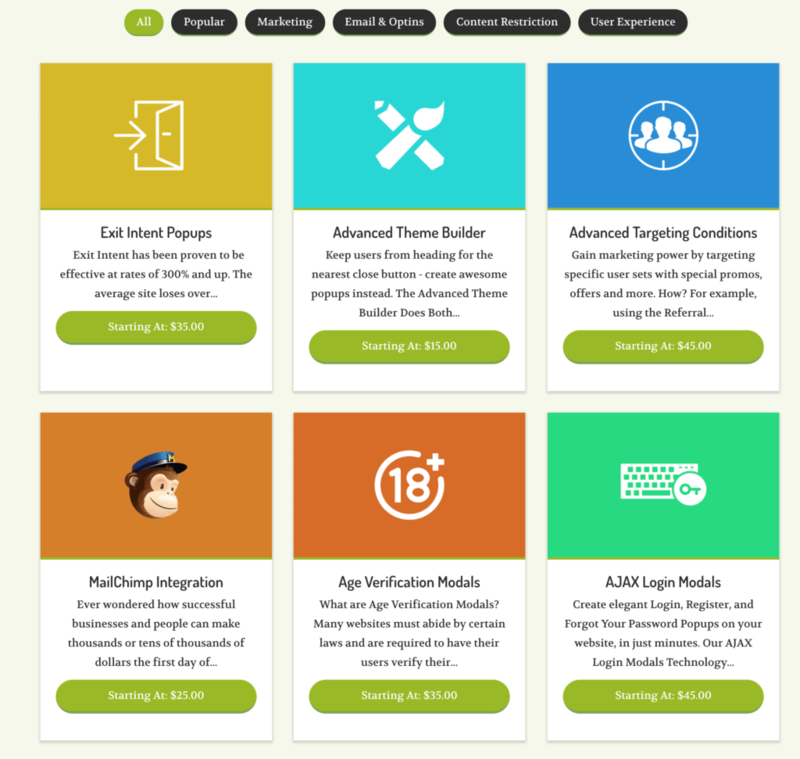 In fact, there are many Popup Maker extensions that can help you level up your Call To Action. By adding an exit intent popup, you give your readers a chance to take advantage of your offered benefits or the free trial before time runs out, simply by reminding them of it before they leave your site. As the last thing they’ll see, it’s crucial to offer something that will keep them on your site for longer. When it comes to marketing online, you have to be aware of what your audience values. By using a popup CTA, you give your prospects value, along with an immediate way to take advantage. Generating sales leads is the bread and butter of any online business. Looking to level up your Call To Action is an efficient way to both increase conversions and improve sales. Offer free trials to convert readers to subscribers. Create benefits-oriented CTAs to emphasize value. Create a sense of urgency in your users. 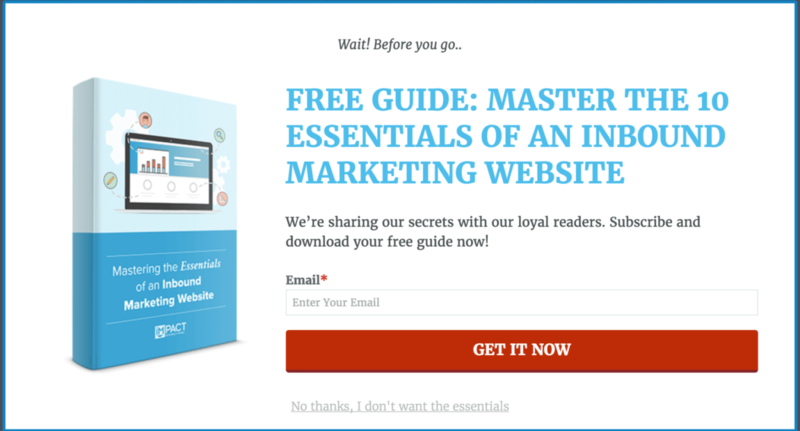 Prominently display your CTAs using popups. Do you have any questions about how to improve your CTAs and conversions? Let us know in the comments section below!